Am I paying too much for my drawdown plan? It’s one of the questions I’m most asked. Am I paying too much for my income drawdown plan? Is it good value? Is there a cheaper options out there? There are many ways to take an income at retirement, but income drawdown has seen a surge in demand since the pension freedoms. Where annuities were once king, Drawdown has now stolen its crown. The complexity of choosing a drawdown provider and group of funds hasn’t got any easier though in the last few years. Some say it’s become harder, with access to more choice and an evolving product range. Many people have decided to try choosing and manage a drawdown plan by themselves, the DIYers. These people for the most part have some investment experience and can, therefore, understand the different products available and can maybe put together a diversified portfolio. However, for manyDIYers, this is the first venture into investment and can be somewhatoverwhelming. Cost’s vary wildly for both the Product Provider and the Fund Management. The Product Provider is the company who administers your pension. It’s the ones who send you your paperwork and provide online access. Typically, you should be paying no more than 0.25% for this, however the range can be 0.10% to 1%. The Fund Management Charge is levied by the fund managers of your portfolio investments. Depending on who you chose these can range from0.10% to 1.75%. There are Active and Passive Fund managers, Tracker Funds and Prebuild Risk Rated Portfolios. Unfortunately, higher management costs doesn’t result in better performance. 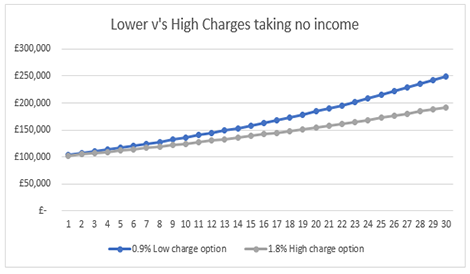 On top of this there are adviser charges, again these vary but typically are from 0.5% to 1.1%. The key to understanding whether you are getting good value from your annual cost outlay is not always immediately obvious. If the markets are going up, you might be happy, but if your funds aren’t going up as high as the rest of the market you’re losing out. To understand whether your funds are performing better than the market average can be somewhat labor intensive, but a good place to start is Trustnet. Find your fund and look at the Quartile Ranking over the last 5 years. Quartile 1 means your fund has performed in the best 25% of similar funds in the market, Quartile 4 is the bottom25%. Look at where it has been over the last 5 years at various points. We’relooking for consistency here so one which has been consistently in the 2ndQuartile is better than one which is currently in the 1st Quartilebut has been in the 4th Quartile for the rest of the time. If you fund isn’t performing, maybe it’s time to look for another in the same sector. Trustnet allow you to search for this and also provides information on annual costs. To find a lower cost produce provider again can be overwhelming. There are around 100 providers of drawdown and they all have differing charging structures. Most have a tiered system whereby they’ll chargex% for the first £x and then x% for the next £x and so on. The larger, more well-known providers tend to charge more. Standard Life, Scottish Widows etc are household names and they know it. Thereis a premium to be put on reputation and this is evident in their pricing. There are many online SIPP providers however that offer much more competitive charging structure. SIPP tend to only charge for the parts andservices of the SIPP you’re using, which can help to reduce costs. Another popular way to reduce ongoing costs is to stay in house. Many providers offer a prebuild portfolio from their inhouse funds. An example is the hugely success Royal London Governed Portfolio Range. TheProvider is Royal London and the Funds are Royal London’s. These are only currently available through the use of a Financial Adviser but typically you can have a managed portfolio for around 0.6% (not including ongoing adviser charges). By keeping all the moving parts in-house, providers can offer a more cost-effective solution. Many of the more established pension companies offer these and more SIPPs are starting to offer this solution. If you’re in a position that you feel your paying too much to your adviser and are not seeing value. Moving to a new adviser is both painless and can save you thousands. I recently move a client over to my and saved him £7,000 in charges per annum. He was so please he referred his friend who I also save £4,500. The trouble with trying to determine if you’re paying over the odds for your drawdown plan is that there are many moving parts to measure. If you have the time to research the market both for products and funds, the information is all freely available. If you don’t have the inclination or time. My advice would be to find a good financial adviser. Understand their costs first and what’s they’ll do for you, then let them do all the leg work and come back to you with a proposition. Prudential has announced that the new pension reforms have help its Pensions business to a huge 60 per cent increase in profits last year. It announced last year that the changes had seen a steep 46 per cent decline in its annuity business, but this was echoed throughout the industry. What sets Prudential apart is the uptick in their pension business. Where less diversified annuity providers failed through not having a drawdown option, Prudential were already geared up for the shift in pensioners’ behaviour to favour drawdown over annuities. Notable losers were Friends Life who decided not to offer drawdown. The take over from Aviva did offer them an option but our clients are telling us it’s not being offered as a smooth transition. Prudential do have their highly regarded PruFund range in their armoury though. These fund are favoured by Financial Advisers for their clients as they offer a less volatile option for those entering drawdown. The PruFund range of funds are designed to spread investment risk by investing in a range of different assets, and is managed by Prudential Portfolio Management Group Ltd (PPMG). In addition, each of the funds aim to protect investors against some of the ups and downs of the markets by using a unique smoothing process. This aims to smooth the peaks and troughs of direct investment and provide less volatile and more stable returns over the medium to long-term in line with each funds objective and allowable equity parameters. These funds offer different levels of risk and potential return. The increase in profits have allowed Prudential to pay their shareholder a ‘special’ dividend of 10p a share, last seen in 1970. The news is surprising when considering more recent volatility in markets and the economic climate. It’s a perfect marketing tonic for anyone looking for confidence in a provider for their drawdown funds. Let’s have a chat and see if the PruFunds are right for you. Alternately we’ll find you a more suitable fund depending of your situation. 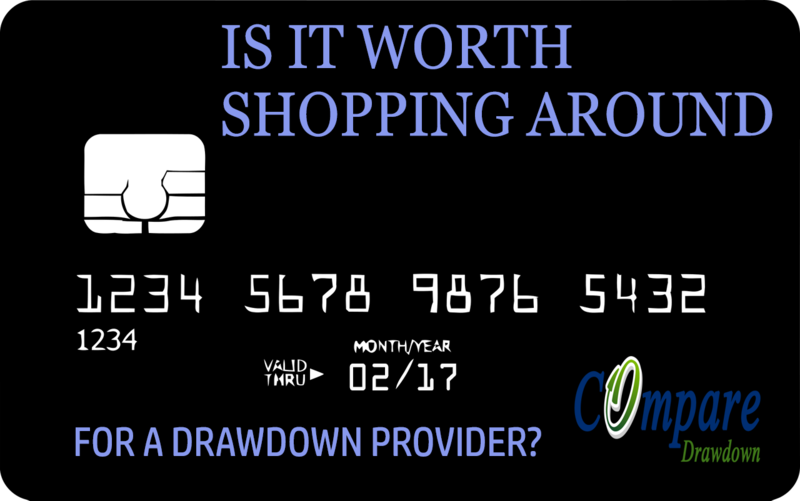 Is it worth Shopping around for an income Drawdown Provider? For years, the Association of British Insurers (ABI) campaigned for those reaching retirement to shop around to find a better annuity rate. Retirees were ending up with poor value incomes as their personal circumstances had not been taking into consideration by their existing providers. The ABI finally got some traction with an agreement from lenders to include a statement within ‘wake up packs’, encouraging those approaching retirement to explore the open market. So what happened when George Osborne decided to declare in March 2014 ‘let me be clear, no one will have to buy an annuity’? Well, people took this as an instruction not to buy an annuity and either take all their money out, or going into the other main retirement product, income drawdown. Fund access, is this a limited or wide range of funds? Service, do they give online access etc? Managed portfolio services, do they have ‘in house’ pre-built and managed portfolios? With so many things to think about, someone new to drawdown is going to be easily overwhelmed. This brings us back to the annuity issue we had for so many years. Many people are simply sticking with their existing provider rather having to learn about the finer details of how income drawdown works. The type of income drawdown provider you use is dependent on how you wish to withdraw your pension and what features you’re looking for. If you’re just looking at price, there are definite saving to be made. The Lang Cat, a highly respected, financial services consultancy company who monitor and review platforms from across the market, have recently named and shamed the least competitive platforms. Interestingly Standard Life are in there. There are other larger life companies, from my own research, whose charges are above market average. There is a sense that these providers know how difficult it is for the man on the street to compare services, and as a result, expect their clients to stick with them in retirement. We seem to have the same issue with drawdown as we had with annuities where people are just being ‘rolled over’ into drawdown. That is unless you’re with a company which doesn’t offer it, such as Friends Life or Sun Life Financial of Canada. Drawdown in its current form is difficult to compare, but shopping around provides definite advantages when you decide what features you want. Why pay for and all singing all, all dancing proposition, when you’re just looking to take your funds out in a tax efficient manner. Equally, don’t be stuck in a plan which restricts your investment choice if you want to have the best opportunity for fund growth. Decide what you want to achieve from your pension fund and what important to you before accepting your existing providers proposition. Sun Life Financial of Canada are not allowing their members to take benefit under the new flexi-access drawdown (income drawdown) rules. Those who are approaching retirement and wishing to take their money more flexibly under the pension reforms are being told they need to move their funds elsewhere. Members are also being told they will need to take an annuity through Legal and General if they want a guaranteed lifetime income. Sun Life Financial of Canada are not the only company who’ve decided not to offer access to drawdown. At CompareDrawdown we receive a lot of enquires from people who have no choice but to shop around for another provider if they want to use pension drawdown. We understand that it can be a bit of a minefield searching for the right plan. With annuities, it was a lot easier to shop around, simply choosing the provider who offered the highest income. Finding a drawdown provider is a little more difficult. There are over 100 companies who offer access to drawdown and over 4000 funds to choose. All the companies have a different charging structure and will be beneficial to people of different fund sizes. The good news for these people is that the initial rush on the 4th April has now died down leaving many providers with more realistic administration time scales. Sun Life Financial of Canada are currently at around 2 weeks to provide scheme information which is normal. 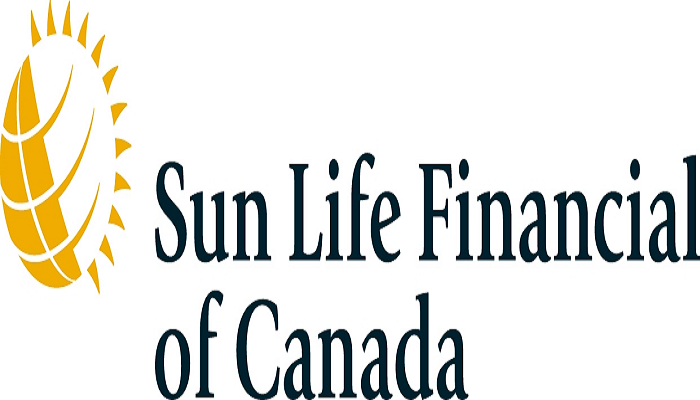 We’ve help many Sun Life Financial of Canada customers find a drawdown provider. 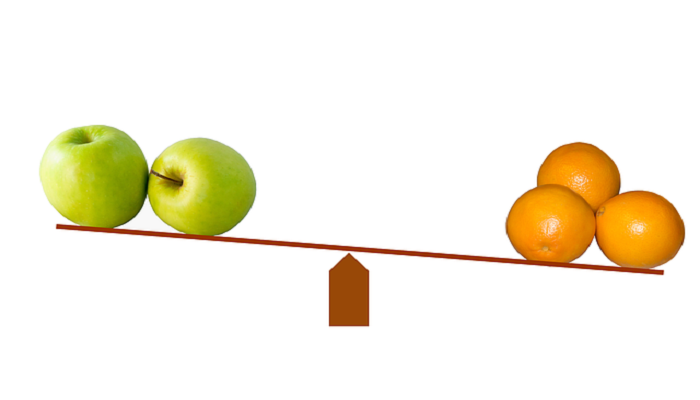 Use the comparison calculator on the right to see which drawdown provider is best for your fund size. What’s the lowest fund amount required for drawdown? Historically you needed around £150,000 or above to use income drawdown at retirement. One of the reasons was that many providers charged an annual fixed cost, which meant those with lower value funds would see a higher percentage of it eroded away by charges. Over the past 18 month however things have changed. Due to the competition from providers to try and retain or attract pension funds, many have reviewed and removed the higher barriers to entry. Companies had a minimum pot size to enter drawdown which prevented those with lower funds being allowed to enter it. Now that the new pension reforms have taken effect, drawdown seems to be the product everyone wants to use. Its flexibility and ability to keep assets within the estate on death make it an attractive proposition. It’s being used by many to reduce an income tax liability by spreading withdrawals over different tax years. There really isn’t a minimum amount to go into drawdown but there needs to be an understanding what exactly drawdown does. As well as being a facility to withdraw income, it’s also an investment. 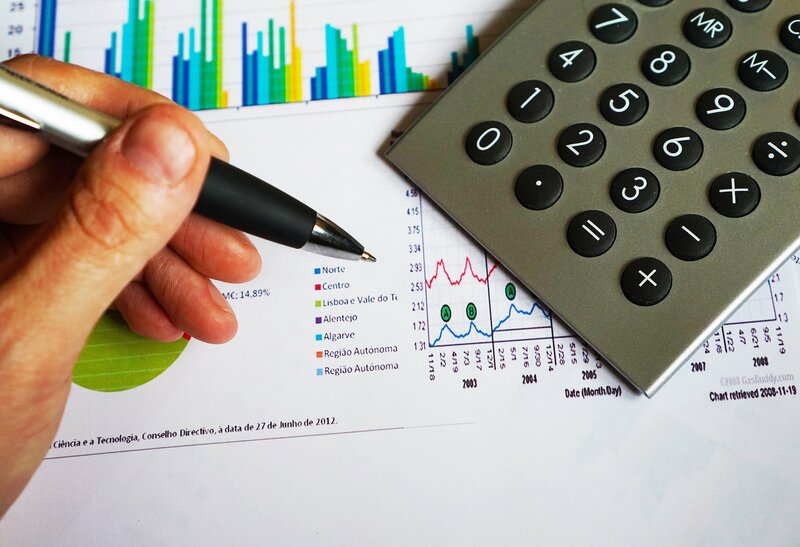 It’s important to match the investment with your own outlook and attitude to investment risk as any tax saving made withdrawing over a number of years may be wiped out by negative investment returns. Standard Life has today announced that it will offer a non-advised income drawdown proposition to try and take a slice of the newly invigorated drawdown market. They will offer a solution called the Standard Life Active Retirement product, which will provide access to a three pot model covering different risk levels. Standard Life previously called on the industry to design a simplistic product for the ‘mass market’ which would allow those with little incline or a sufficient fund size to use a financial adviser, to enter drawdown. They made statements suggesting that the area of income drawdown was too complex to provide without qualified advice. Now, it seems they have decided to answer their own calls and take a slice of the expected £700bn available from baby boomers in the next 10 years. Their proposition is based on the common life styling concept which happens during the pension accumulation stage. This shifts riskier assets into more cautious assets as retirement approaches to prevent any major fluctuations in the final years. The post-retirement strategy will use a time horizon of the retiree and then apply a graduated reduction in risk over that time frame. A shorter time frame, will therefore be exposed to less overall risk than a longer one. The three pot system will be weighted, very low risk, low risk and medium risk. The stated time horizon will depend how much of your fund is invested in each pot. With this type of arrangement the idea is that you’ll have access to the features of a drawdown pension but without any high exposure to volatility. This may be attractive for some who wish to protect the downside, but it is seriously going to limit upside potential. According to FT Adviser, Jenny Hold, Head of investment solutions at Standard Life, said that retirement solutions must be designed to make pension funds last, whilst providing flexibility to take income. At Compare Drawdown, our research into the Standard Life Plan suggests that averagely, the ongoing cost of running this plan will be around 1.10% per annum. You don’t get control over where you investments are and you are not protected as this is a non-advised transaction. In our view, you are paying over the odds for a non-advised service off the back of the Standard Life brand. Friends life has left thousands of it pension customers in limbo after deciding not to offer the new flexi-access drawdown facility to its members. 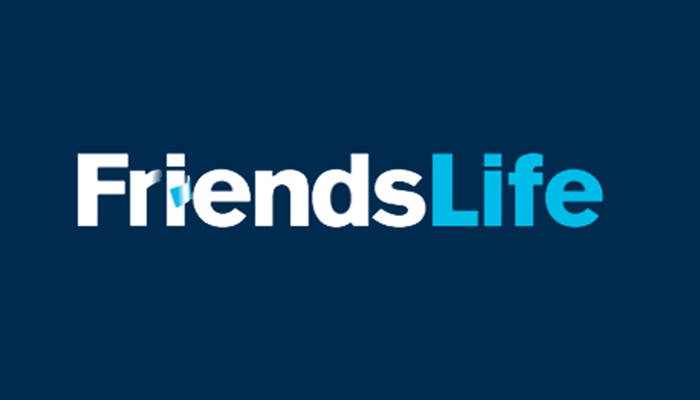 Friend Life was acquired by Aviva in December 2014 when they agreed to pay £5.6bn for the life company. It’s currently writing to its member to inform them that they have a more limited range of options than the rest of the larger providers. Pension reforms over the last year have allowed those with a pension fund, full access to their money. Where previously most bought an annuity and were stuck with a level lifetime income, pension drawdown (or flexi-access drawdown as it’s been named) provides full access to funds whilst keeping invested. It’s widely thought that although this type of arrangement isn’t a guaranteed lifetime income like an annuity, it gives people more flexibility and choice with their life savings. The move by Friends Life has been taken after a lengthy review on whether they can offer drawdown cost effectively and at a profit to the organization. Because of the speed at which the pension reform announcements were made and implemented, many of the pension companies have had to spend millions getting their systems up to speed. This has led some providers to simply refrain from adapting the new ways to offer pension income to protect their bottom line. ‘they just couldn’t answer any of my queries and now I know why, they knew all along they weren’t going to be able to put me into drawdown so why didn’t they just tell me this at the start and I could have moved it elsewhere’. The only feature of the new reforms Friends Life are to offer is full encashment. This would leave many having to pay a large tax bill on 75% of their fund as it’s added to your income tax bill in the year of encashment. The move by Friends Life might be the first of a number of companies who either refuse or pull out of offering pension drawdown. As assessment on viability will be conducted by all the major providers over the next year as they simply don’t know how people are going to take their pensions. If people are using drawdown to strip out their pension funds in the shortest possible time, whilst managing their income tax bill, it may become an unprofitable venture. The profitability of drawdown to providers will only come through years of fees being taken. If the funds are stripped out straight away it could become a loss making operation. Liverpool Victoria (LV), the mutual insurance company with 5 million customers is looking to simplify advice to the retirement market. A forward thinking Technology Company, they are one of the first to aid advisers service ‘middle Britain’ with an online advice service. Clear Online Retirement Advice (Cora) is designed to plug the gap of those mass market customers who may be turned away by advisers through simply no having enough to warrant the require regulatory administration work. 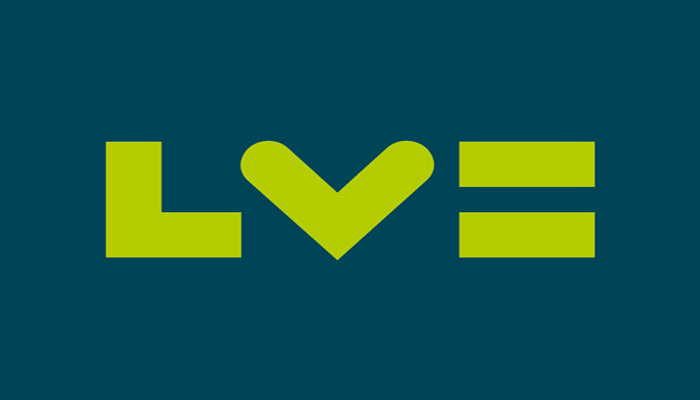 LV are one of the prominent and trusted retirement brands who have always been proactive in leading the way in retirement products. They understood the magnitude of the retirement market long before the pension freedoms where announced and offered a suite of products to suite all requirements. The latest innovation sees an online recommendation service costing around £199 initially with a full cost of £499 should the recommendation taken up and a product arranged. Cora is designed to streamline the process of providing financial advice, producing a report and recommendation, saving time and money which will then be passed onto the consumer. CompareDrawdown salutes such moves by the insurance company sector as it aims to service an ever increasing demand for income drawdown. Cora has been designed in conjunction with Wealth Wizards, the online pension advice experts. Blackrock have followed the heard of insurance and asset management companies to move into income drawdown. 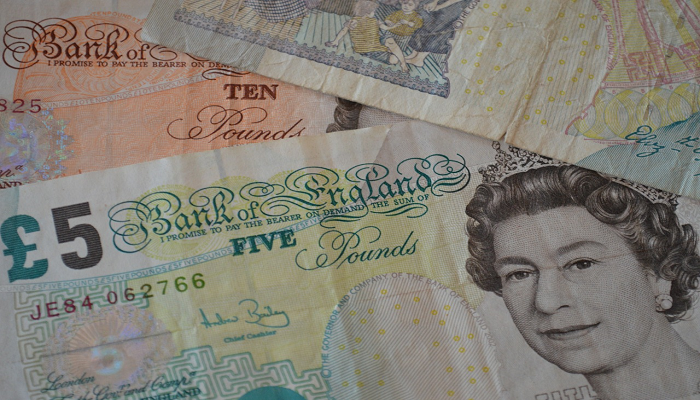 Buoyed by the increasing popularity of income drawdown since the pension freedoms came into effect on the 6th April, the major players are slowly announcing their offerings. 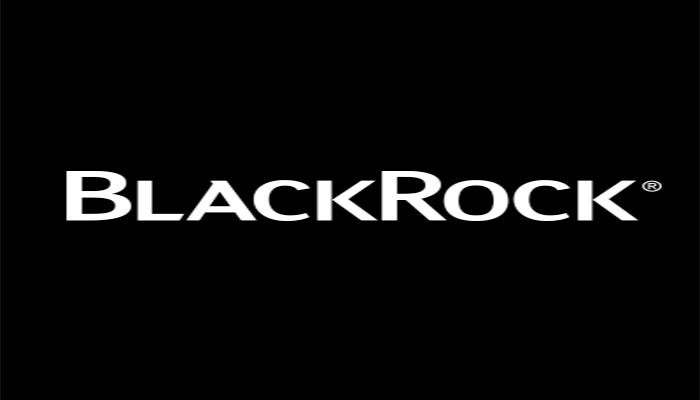 Blackrock, a name who’s probably unfamiliar to those outside of financial circles is actually the worlds largest asset management company. It’s the single biggest shareholder in many of the world more well know financial powerhouses. The likes of Citigroup, Bank of America and JP Morgan Chase. They have a staggering $4.77 trillion assets under management and 12,000 global employees. In a bid to keep some of those assets in-house they have launched a ‘Retirement Income Account’ for UK savers. They have traditionally operated in mutual funds, investment funds and ETF’s, but now want a slice of the drawdown market. Ever since George Osborne announced that ‘no one will have to buy an annuity’, previously inexperienced investors who wouldn’t have considered drawdown are now enquiring about it as the media and broadsheets enhance its viability. Income drawdown has been around for many years but was only really considered by those with a substantial pension pot. Financial advisers usually considered this with clients holding assets of £150,000 plus. The reason being its volatility and need to ensure any movements downwards in fund value could be tolerated by its holder. The new pension reforms open up access to those with more modest pots however. Some providers are accepting drawdown funds of £20,000, Blackrock require a minimum of £50,000. Blackrock are aiming their solution at the so called low-cost market. Those who are looking for the flexibility and access drawdown offers more than the bespoke investment choices available for a higher annual cost. Annual management of its core fund is 0.41 per cent. They are dipping their toes in the drawdown water initially opening up availability to 300,000 members of workplace pension schemes managed by Blackrock. We expect this to be a trial period to iron out any issues to then be followed by a full D2C (direct to consumer) launch. The move is a positive one for its workplace pension scheme members as traditionally these types of scheme don’t offer access to income drawdown. A retiree would need to move their fund to a provider offering drawdown services to take advantage of it features, likely incurring costs in the process. 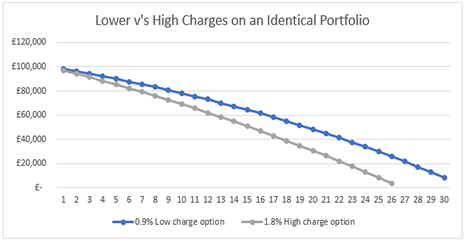 Increasingly more choice in the drawdown market is healthy for competition and driving down costs. However, with no uniformed way providers charge, it’s becoming more complex to compare providers. Annuities were simple and quite black and white when comparing, the highest income offered was the best option, drawdown is a little more opaque. Those looking to enter drawdown need to prioritise costs, fund access, portfolio design, performance and usability in order to find a provider which suits them. Blackrock entering the market gives them one more option to consider.